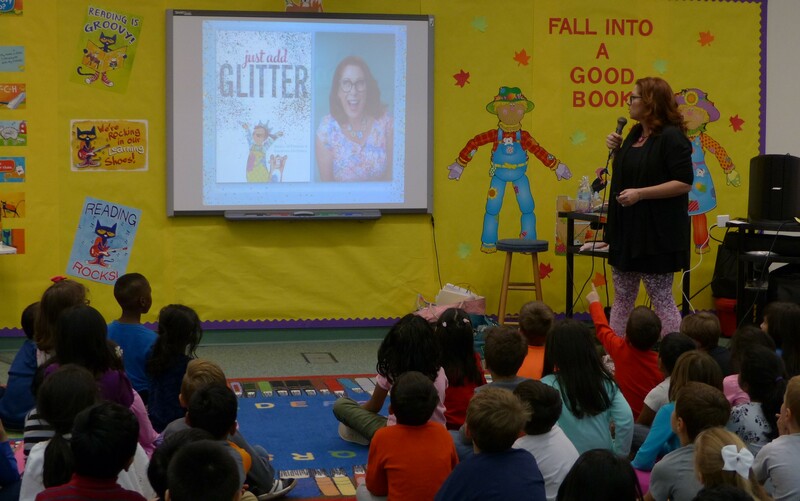 Author Angela DiTerlizzi visited to Builta Monday, October 22 to talk to K-2 students about her career as an author and her new book Just Add Glitter. First graders added glitter to the Welcome to Builta signs that were displayed through the library. Second grade students added glitter and color to notes they wrote to her about her books or about how they wanted to be writers, too. 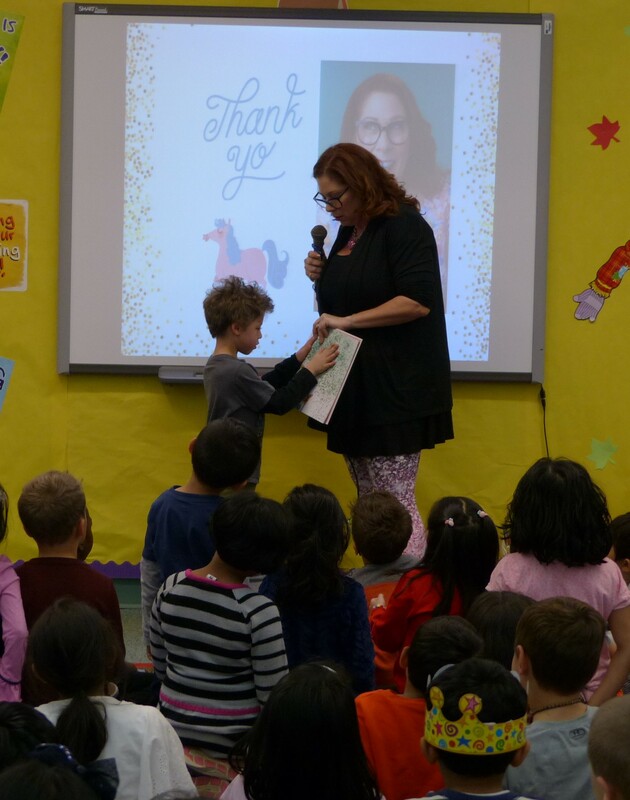 During the presentation, she shared with the students what inspires her to write and where she finds ideas for new books. She talked to them about how a book gets published - from coming up with an idea, to revising, to working with an illustrator, and even how the cover gets made. She read Just Add Glitter with the students and told them that although glitter makes things sparkle on the outside, it’s important to know that we all have things that make us sparkle on the inside. She wrapped up the session by answering student questions. Autographed copies of Just Add Glitter are still available for sale this week if anyone would like to buy a copy. See the attached order form.